The interior design of business meeting centres is something that should never be overlooked. The environment in which those all important business meetings takes place plays an important role. Whether this is a sleek modern design or a more traditional formal feel, the interior design and furnishing must complement one another and make those present feel at ease. 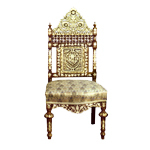 El Palacio Damasceno have worked with many interior designers by providing authentic Syrian furniture that wonderfully complements their current interior design projects. But with so many Syrian furniture designs to choose from, deciding on the perfect piece can be troublesome. Moman, the founder of El Palacio Damasceno welcomes to you to have a look at just some of the designs that prove popular with Business Meeting Centre interior designers. 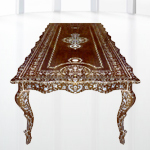 Made from genuine Syrian walnut wood, the table makes use of exquisite design aesthetics that are truly exceptional. 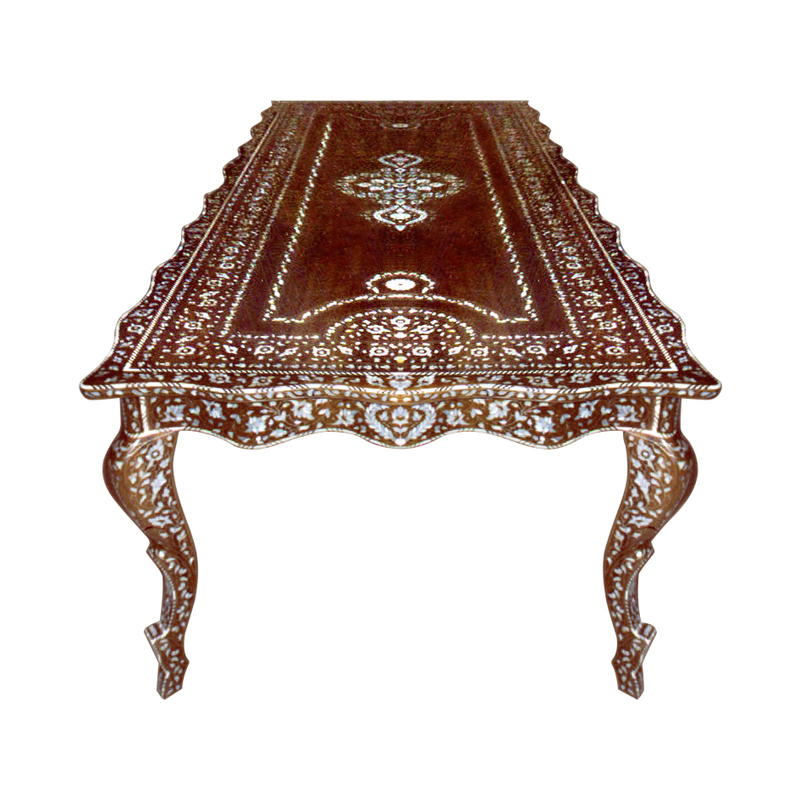 The rectangular table is made in a unique style that involves the top being held by feet that are cut in exquisite style. The table is covered with glistening pieces of mother of pearl. 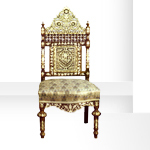 The chair combines simple yet elegant carvings with stunning mother of pearl inlay to bring out the gorgeous elegance of the design. Made with pure walnut wood, the chair is inspired by oriental furniture designs. The cushion upholstery is washable and can be changed when required.